What’s happening at Family Connects International? 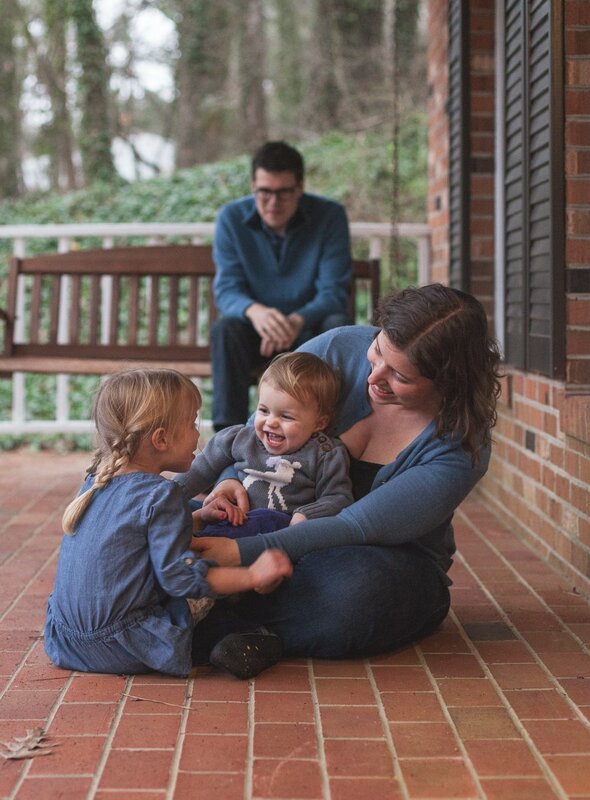 After the birth of their first daughter in 2014, Rachel Scheckter and James Soliah were introduced to Family Connects by an outreach coordinator during Rachel’s hospital stay. They both thought it sounded like a great idea. Living far away from their families brought anxiety – Rachel and James knew they’d be on their own when they took baby Eleanor home. And, because James got no parental leave, Rachel feared she’d become isolated, trapped at home during the coldest weeks of winter. They looked forward to the visit from the Family Connects nurse, who arrived about three weeks later. While the idea of a home visit may at first seem uncomfortable or even overwhelming at a time when new parents are already juggling so many things, Rachel says the visit actually made her feel less overwhelmed. A visit to her own home meant that Rachel didn’t have to worry about bundling-up the baby or driving on icy roads to try and make an appointment time. And it didn’t matter if the baby was asleep or if Rachel was in pajamas when the nurse arrived. This was a relief. The health check on baby Eleanor was also a relief because she’d been born very small and Rachel was working through breastfeeding challenges. The Family Connects nurse was able to spend time understanding what Rachel’s family needed in terms of support. She listened and didn’t make assumptions. When Rachel and James welcomed their second daughter in 2017, Family Connects visited again. Though they had much more confidence as parents the second time around, Rachel appreciated the reassurance and help she got from the nurse. They were able to talk about the new family dynamics that the arrival of baby Clara would bring. And Rachel learned about new community services that she was not aware of. “Family Connects provided reassurance and cared for our whole family in a way that all new families need and deserve,” said Rachel. CBS This Morning featured Family Connects International on January 2, 2019. CBS Medical Correspondent Dr. Tara Narula visited two families who’ve benefited from Family Connects visits and met with our founder Dr. Kenneth Dodge. Watch the show on the CBS website and listen to the full interview with Dr. Dodge on Soundcloud. Dr. Ben Goodman, FCI’s Director of Research and Evaluation, recently returned from Japan where he was invited to present at the annual conference of the Japan Society for Prevention of Child Abuse and Neglect in Kurashiki, Okayama. His presentation, titled Community Prevention of Child Maltreatment in the United States: The Family Connects Program, was very well-received. Attendees were keen to learn about the key ingredients to the program’s success. The Japanese Society for Child Abuse Prevention involves researchers and practitioners in a variety of fields whose aim is to prevent child abuse. Goodman’s presentation was an opportunity to share how public-health nursing, broad assessment of family need in the early postpartum period, and rigorous evaluation of program implementation and impact can be used to produce positive outcomes for children and families in an entire community, including reducing the risk for child abuse and neglect.